Here it is. The NYC Revival Premiere flier. 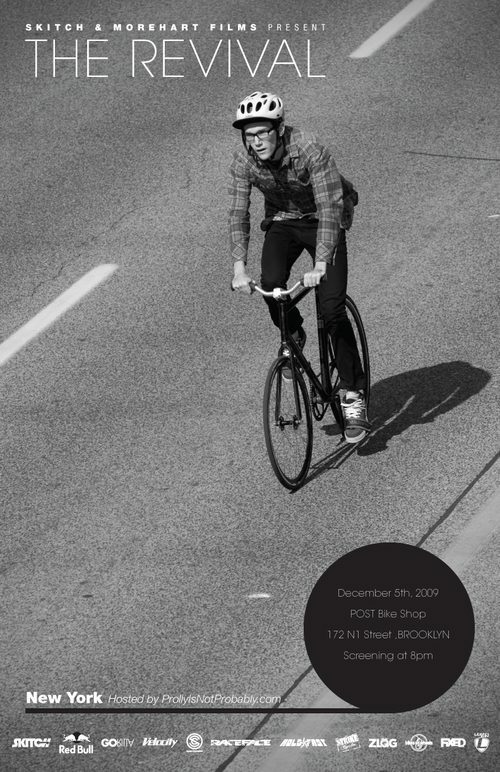 December 5th at 8pm at Post Bike Shop in Williamsburg. We’ve got Colt 45 sponsoring the event and we’re gonna do a little trick jam at the Peel Sessions spot beforehand. Not a competition, just a fun jam with everyone who’s coming in from out of town. Also a head’s up. There is a slight chance that Post may be moving their location December 1st. No final word yet. It will still be in the area and I will update the flier if the location does change. Just know that come December 5th the premiere will be at Post.